The GoPro Monster Sport Super Swift is a 6-time consecutive winner of the Pikes Peak International Hill Climb race held in the U.S. 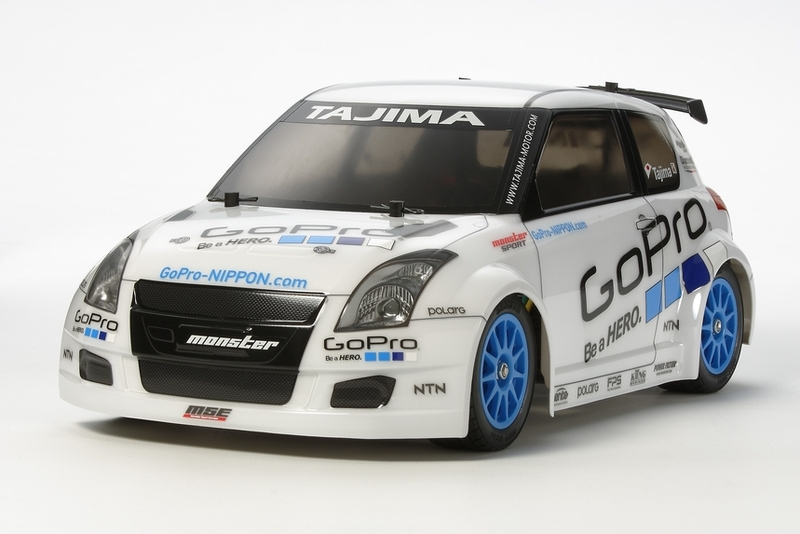 It is based on the Suzuki Swift and custom-built by Monster Sport. 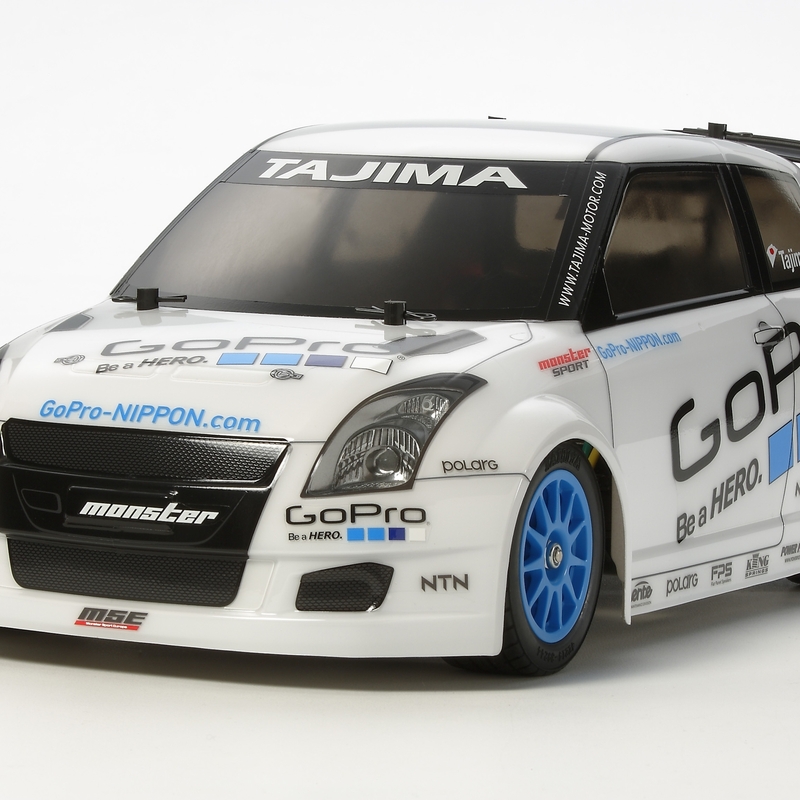 The 4WD car features wind tunnel-tested aerodynamics and a 400hpplus 1.9-liter engine. 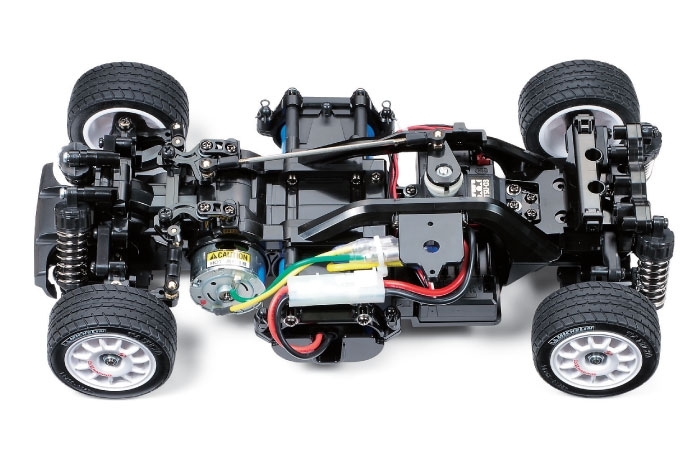 The Tamiya R/C model faithfully captures the fun and maneuverability of the real life subject as it comes on the proven M-05 M-chassis platform. The M-05 is a simple to build FWD (front wheel drive) machine, which allows for plenty of after-market parts to be outfitted as you grow with your skill. The lightweight, narrow semi-monocoque frame offers an optimized weight distribution and a low center of gravity. 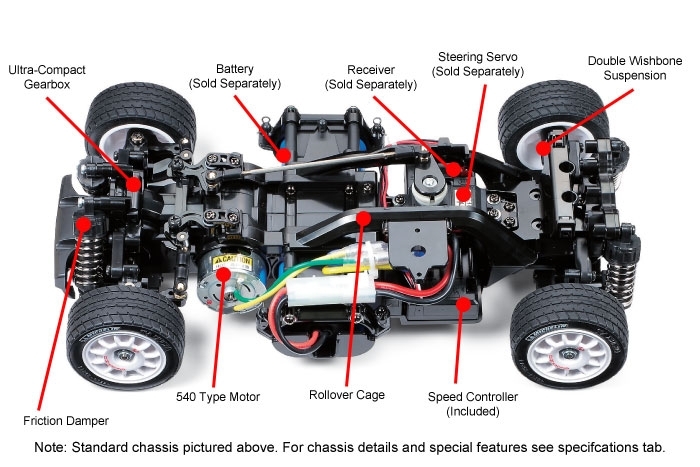 A ground-hugging 4-wheel independent double wishbone suspension and a 3-piece steering linkage ensure excellent stability during high-speed cornering. Three wheelbase lengths (210mm, 225mm, 239mm) are possible by simply switching the position of the rear suspension parts, enabling a wide range of body choices available from Tamiya.